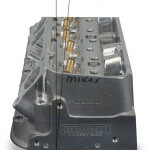 Concord NC: Developed from raw, un-ported type FF aluminum castings introduced by Brodix in 2012, Mike’s Racing Heads is unveiling a new 10-degree valve-angle cylinder head to suit Chevrolet Dirt Late Model aluminum small-blocks with 410 to 440-plus cubic inch displacements, 4.25in bores, and 4.50in bore spacing. 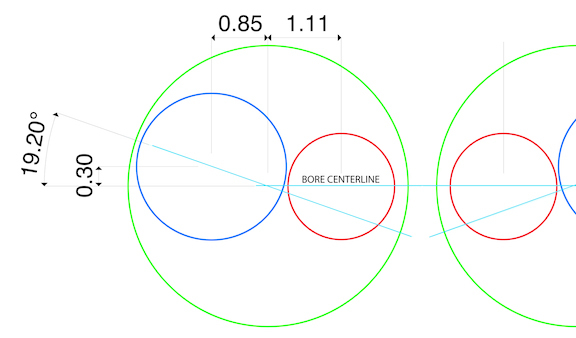 The appeal for aftermarket 4.50in bore spacing over the conventional 4.40in layout is influenced by the desire to combine a larger bore with a shorter stroke, which has the reputation for accelerating faster. 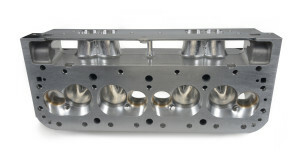 The 4.25in small-block bore is equivalent to that of the big-block Chevrolet; a regular small-block uses a 4.00in bore. 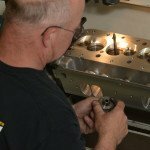 The larger bore allows larger intake valves and Mike offers 2.230in or 2.250 with 1.625in exhaust valves. 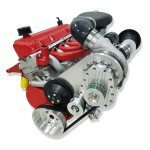 One of the two chief advantages of using a low, 10-degree valve angle is that it yields a shallow combustion chamber and this one, a high-quench fast-burn layout, is only 40cc, or less if desired. 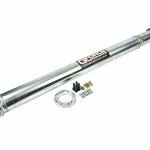 One of the two chief advantages of using a low, 10-degree valve angle is that it yields a shallow combustion chamber. 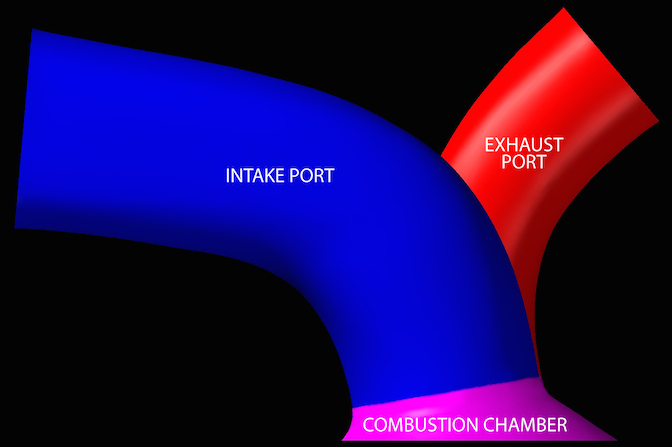 The reward of a higher intake port is an unimpeded high-flow path to the cylinder that enhances engine performance. 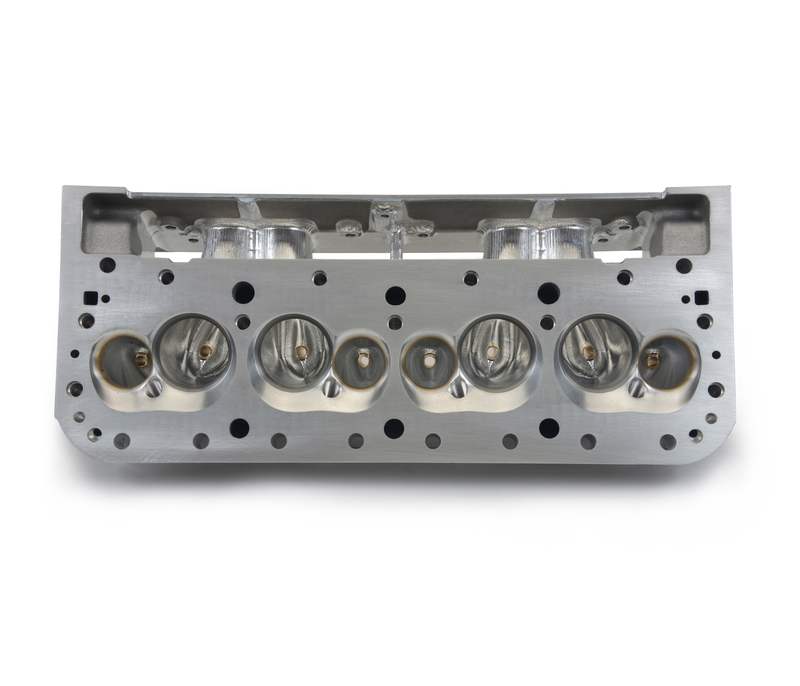 The intake valves are rotated by almost 20 degrees from the bore center line, further straightening the intake port path to the cylinder. 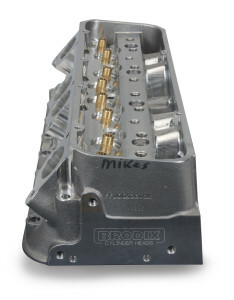 High intake ports are aided by Edelbrock’s three-piece intake manifolds, which are also offered by Mike’s Racing Heads. 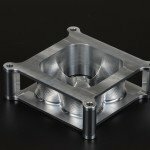 Low valve angles also mean higher intake port entries if the designer is to avoid excessive curvature where the port turns down to meet the valve head. 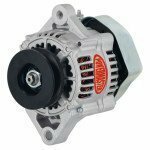 The reward is an unimpeded high-flow path to the cylinder that enhances engine performance. 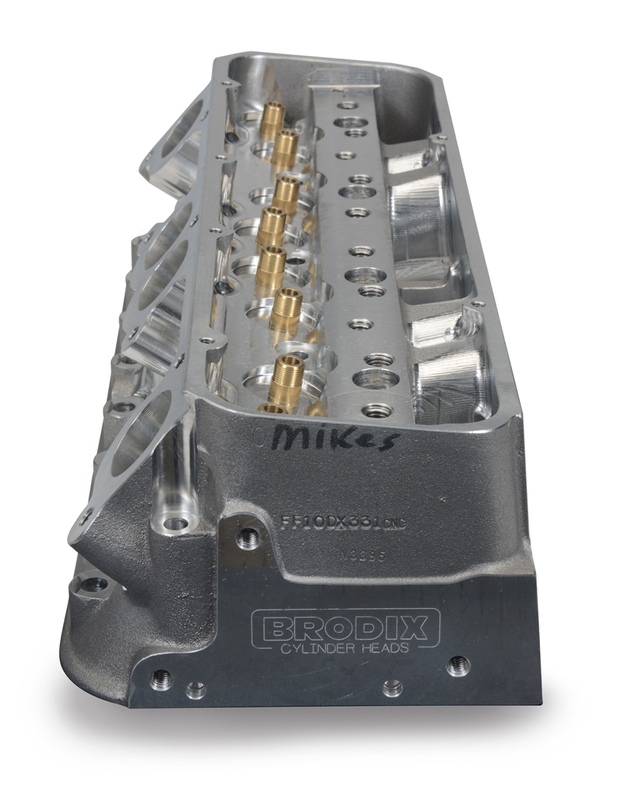 The high intake ports are aided by an Edelbrock three-piece intake manifold, which is also offered by Mike’s Racing Heads. Fully CNC-machined and lightened, it weighs only 9lbs. 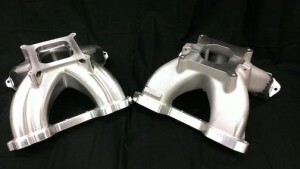 Additionally, a lightened version of the head is also available, which shaves off an extra 2lbs. 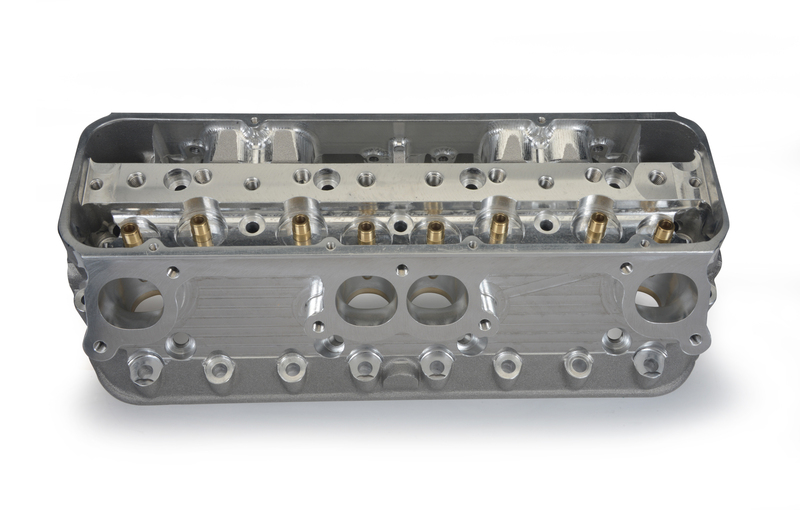 Further power-producing benefits not found in normal inline-valve heads are realized by astute positioning of the intake valve. 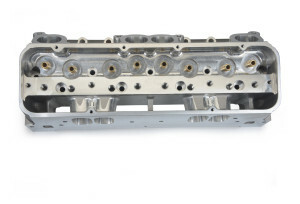 Though the exhaust valves are set on the longitudinal center line of the bores, the intake valves are not. 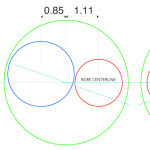 Instead they are rotated by almost 20 degrees from the bore center line, which further straightens the intake port path to the cylinder. 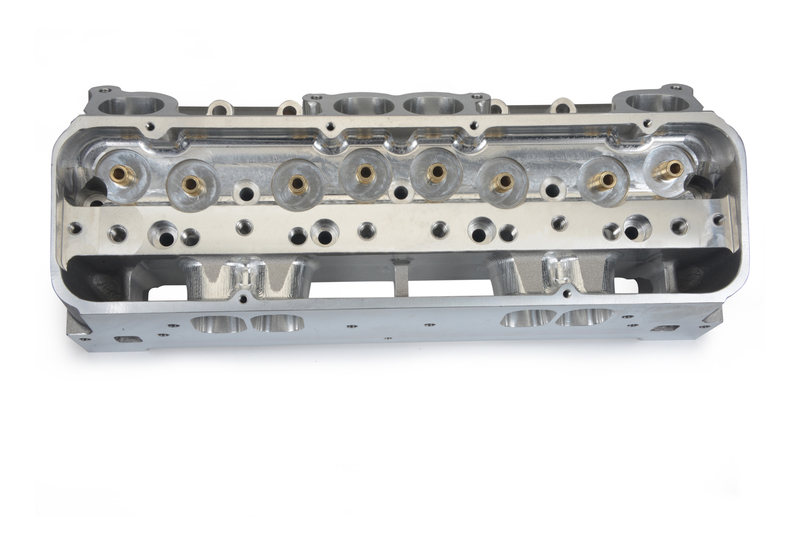 Most importantly, all cross-sectional areas of the intake ports are carefully sculpted to contribute peak air flow and velocity, which is the key to uncovering high torque and horsepower without sacrificing drivability. 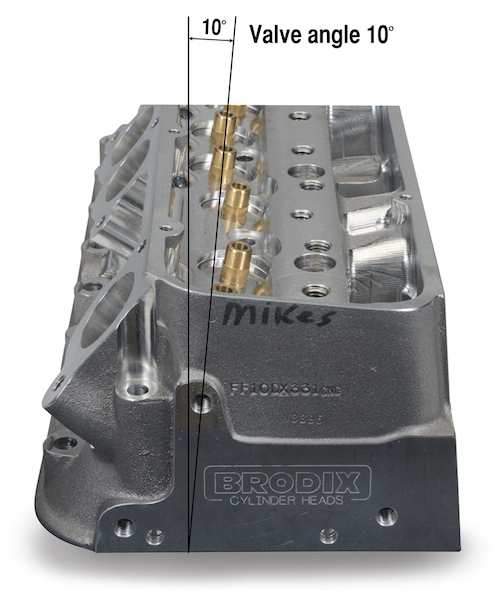 The vital statistics of Mike’s new 10-degree racing head include an intake port volume of 312cc. 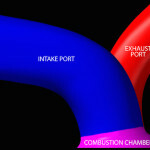 The intake ports flow 420cfm, the exhaust 290cfm. 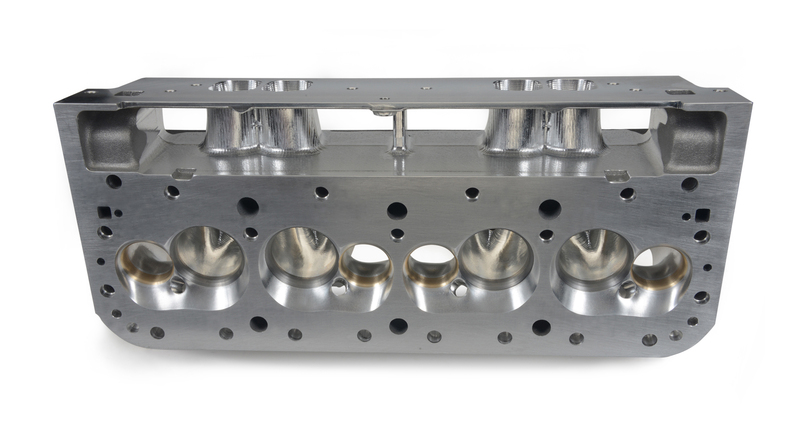 The heads are supplied with ductile iron intake valve seats and Amco 45 exhaust seats, though other options are available. 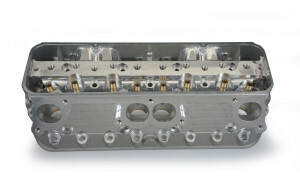 In addition, the new head accepts a one-piece shaft-mounted rocker system with 12 fasteners for high rpm stability. 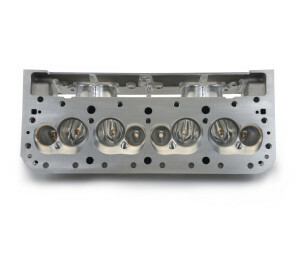 Do you do SBC heads?